SOCIETY FOR PROTECTION OF DEMOCRATIC RIGHTS is located in KOLKATA West Bengal . SOCIETY FOR PROTECTION OF DEMOCRATIC RIGHTS is registered as a Society at Kolkata of state West Bengal with Ngo unique registration ID 'WB/2015/0085778' . 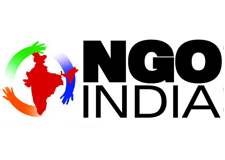 The NGO registration is done by Registrar of Societies with registration number S/1L/61850 on the date of 07-07-2009, Its parent ORganaisation is SOCIETY FOR PROTECTION OF DEMOCRATIC RIGHTS. The Chairman of SOCIETY FOR PROTECTION OF DEMOCRATIC RIGHTS is Bandana Kabasi and Chief functionary officer is Somnath Sen. Promoters are Pintu Mondal, Partha Das, Sihuli Mukherjee,Suvra Mitra.